Come Shop With Us At Lancôme For Fashion’s Night Out! With Fashion Week already in full swing, the Daily Makeover team is excited to take a quick break from runway madness to celebrate Fashion’s Night Out on Thursday, September 10th. Fashion’s Night Out is a global initiative to promote retail, restore consumer confidence and celebrate fashion. U.S. and international editions of Vogue have coordinated evening extravaganzas to be held in various fashion capitals around the world. Come say hello to the Daily Makeover team and spokesmodel Arlenis Sosa at the Bloomingdale’s SoHo Lancôme Counter from 6 to 7 p.m. The first 100 people to stop at the counter and give the password “Paris” will take home a full-sized product as a little thank you from Lancôme… AND if you say “Daily Makeover” at the counter, you’ll get a few extra deluxe samples. It’s good to have friends in high beauty places, no? Next, we’ll hit up the Lancôme Boutique on 69th and Columbus from 8 to 9 p.m to meet designer Chris Benz and enjoy champagne and cupcakes as Lancôme opens the waiting list for his Pout–Porter lipstick. The lipstick will be kept under wraps until Chris’s show on September 14th, but fans of the Pout–Porter collection can get a jump start. Anyone who puts his or her name on the list that night will be entered into a drawing to win two tickets to Chris’s show. The first 10 people on the list will get an official Fashion’s Night Out t-shirt. The first 100 people to stop at the counter and give the password “Paris” will take home a full-sized product as well. 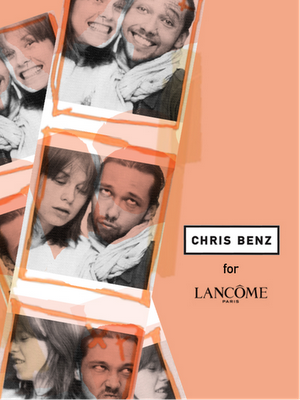 Lancôme will also have several guest stars on hand at the boutique: Spokesmodel Elettra Wiedemann and makeup artist Daniel Martin, who helped create Chris’s lipstick. The entire Lancôme PR team will be there, as well as Andrew Sotomayor and Sandy Linter!